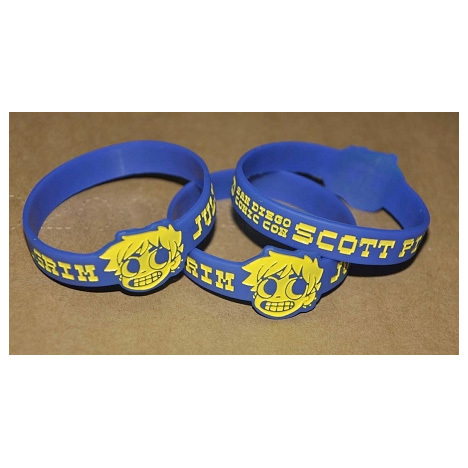 Size for Adult or Youth Adult 8" Youth 7"
1" Silicone wristbands are another option to make your custom message stand out to create a dynamic visual effect. 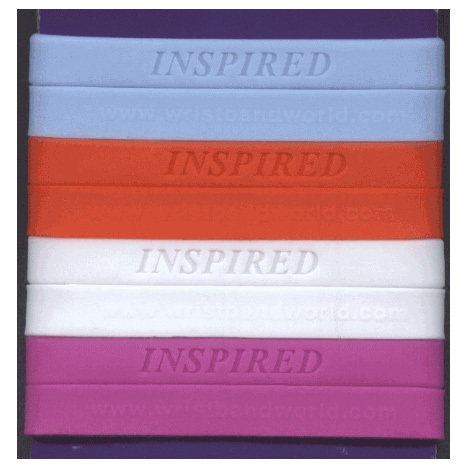 You have the choices of a multitude of colors for the wristbands as well as a color fill or printing if you choose. 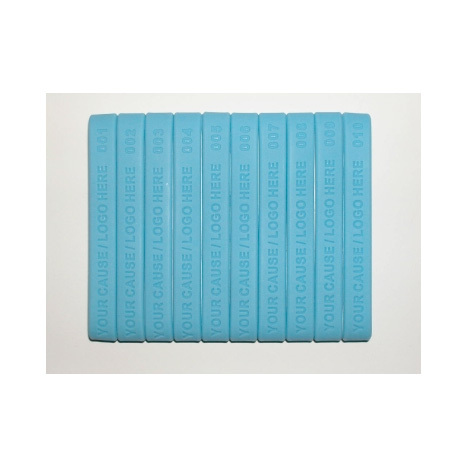 We use the pms color chart (not shown on the website for copyright reasons) where any color can be matched to make your wristbands as individual as possible. When you place your order, we will contact you for the color choices if yours isn't on the list provided. Whatever your message is, it probably won't be missed when people see your wristbands. We can do color printing, embossing and debossed images with, or without color fill. 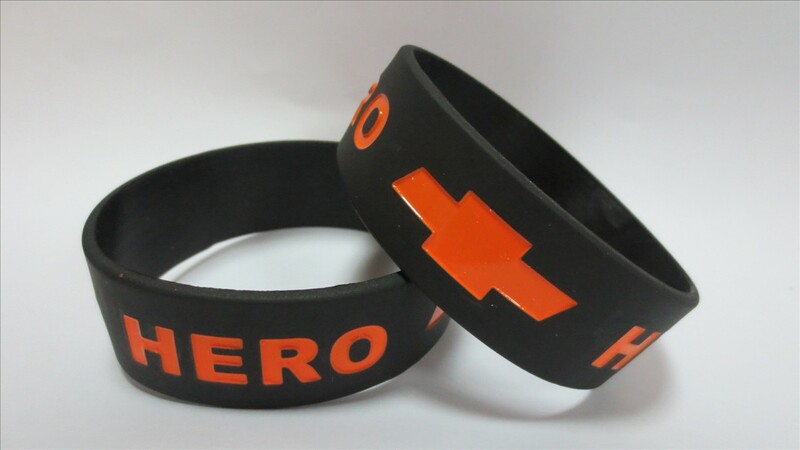 Our minimum order requires 250 wristbands due to static production costs. We have not had a complaint about our quality or service in years. You can check us out on the BBB website and see our A+ rating as well as comments from some of our customers who were kind enough to give us their blessing. Have a great day. Please let us know when we can be of service. Feel free to call us with any questions at 253 841 4057. We love to talk with you.